Welcome to our collection of hand-made dot-to-dot puzzles, containing over 15,000 dots for you to connect! This edition is personalised to Mum, and many other family members! If you're looking for a thoughtful and unique gift this Christmas, or perhaps for a birthday present, look no further! Names available in this title are: Mum, Nan, Grandma, Nanny, Nana, Auntie & Mom. 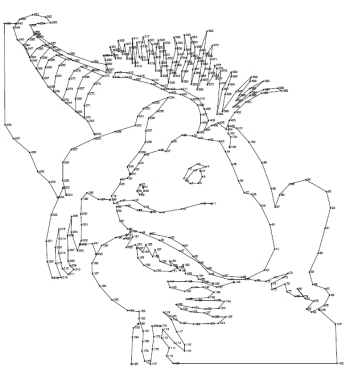 The rules are simple: starting at number 1, draw a line to dot 2, then 3 and so on. In addition, these extra-challenging puzzles also contain some hollow dots. When you reach a hollow/white dot, this indicates that the current line stops. You should then look for the next dot which will also be hollow and draw a new line starting there. Full instructions and an example of this are featured inside the book. Once you've reached the end dot, you've finished the puzzle! All puzzles have a minimum of 400 dots, right up to over 750. However, even with that many dots on a page, we've worked hard to ensure we are consistent with the position of every single dot in this book from start to finish: the dot is always positioned to the left of each number. This removes any ambiguity that can occur from having dots in different places relative to their numbers in the same puzzle, so by checking the position of a dot relative to a number it is always possible to work out which dot goes with each number throughout the book. Our puzzles are printed on high quality paper with only one puzzle printed per two pages, so there is always a blank reverse side. Thus if you decide to colour in a puzzle once finished, pen marks going through to the other side of the page won't affect any other puzzle. We do recommend using a pencil for drawing the dots to allow for a neater line and also any corrections that may need to be made. Our dot-to-dots are now compatible with our dot-finding feature! If at any point you're struggling to see a dot, we have created a clever tool which allows you to search just that number and be shown the location of it on screen. We have been careful not to reveal all of the image, so as to not spoil the surprise of revealing the artwork! More details and website information can be found inside the book. That's all there is to it! Delve in to this collection of relaxing and satisfying puzzles and take a trip back to those carefree moments as a child. Creating beautiful artwork along the way, we are sure that you will enjoy completing all 30 puzzles and being driven dotty for dots! 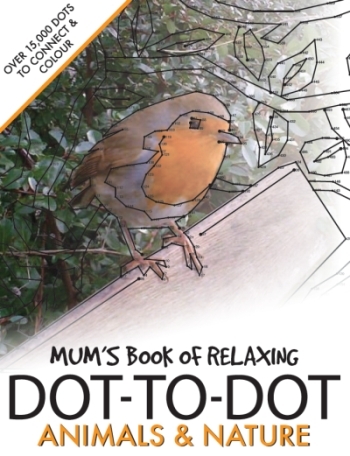 *This book is available in six other personalised covers: Mom, Grandma, Nan, Nanny, Nana & Auntie's Dot-to-dot Book. * If you would like other personalised names or relations, please use the contact us form above and we'll be happy to help!